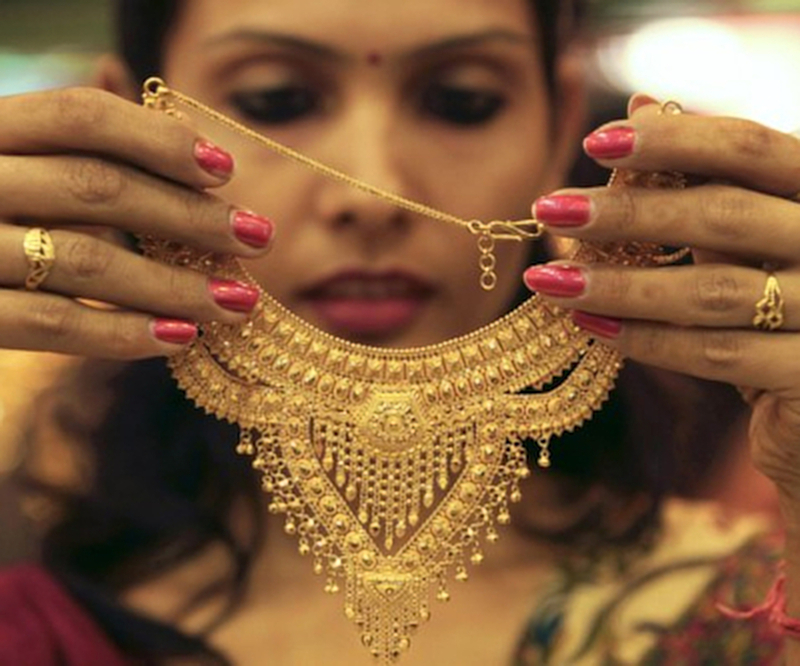 MUMBAI, July 6 (Reuters) – India's gold imports fell for a sixth month in June to 44 tonnes as a drop in the rupee to record lows lifted local prices to a near 21-month high, curtailing demand, provisional data from GFMS analysts at Thomson Reuters and bank dealers showed. The 25 percent year-on-year drop in purchases by the world's No.2 consumer could weigh on global prices, which fell to their lowest in seven months last week. Lower gold imports could also help the South Asian country cut its trade deficit. "The rupee kept local prices elevated despite the correction in global prices," said the Mumbai-based head of the gold trading desk at a private bullion importing bank. Purchases were also curbed last month by the arrival of Adhik Maas, an extra month in the Hindu calendar that ended on June 13 which is considered inauspicious. People avoid weddings and buying gold or property during that period. People avoid weddings and buying gold or property during that period. "In the first half of June retail purchases were weak due to Adhik Mass," said Daman Prakash Rathod, a director at MNC Bullion, a wholesaler in Chennai. The country's imports in July could rise to 55 tonnes as the industry has started replenishing inventory after making bare minimum purchases in last few months, said a Mumbai-based dealer with a bank. India's gold imports in the first half of 2018 fell 38 percent from a year ago to 318.2 tonnes, data compiled by GFMS showed.